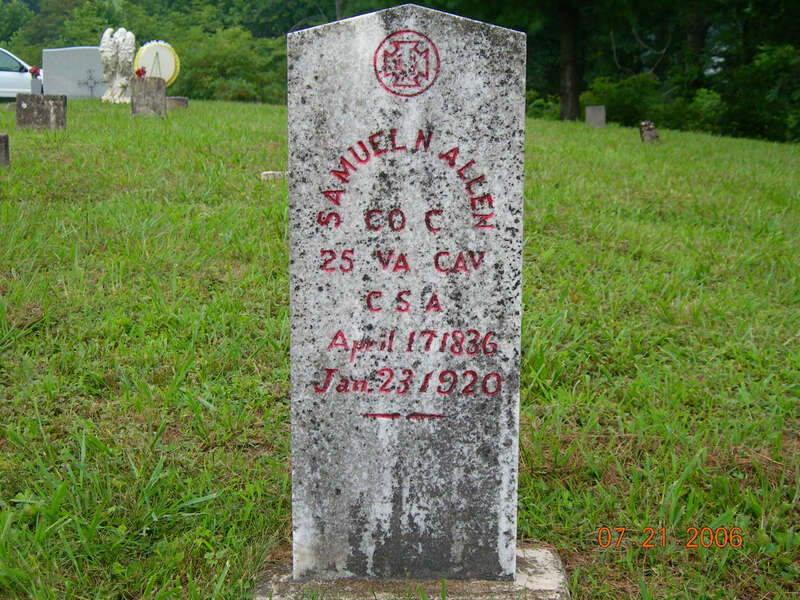 This Allen Family cemetery was started by Samuel Nathaniel Allen’s family. 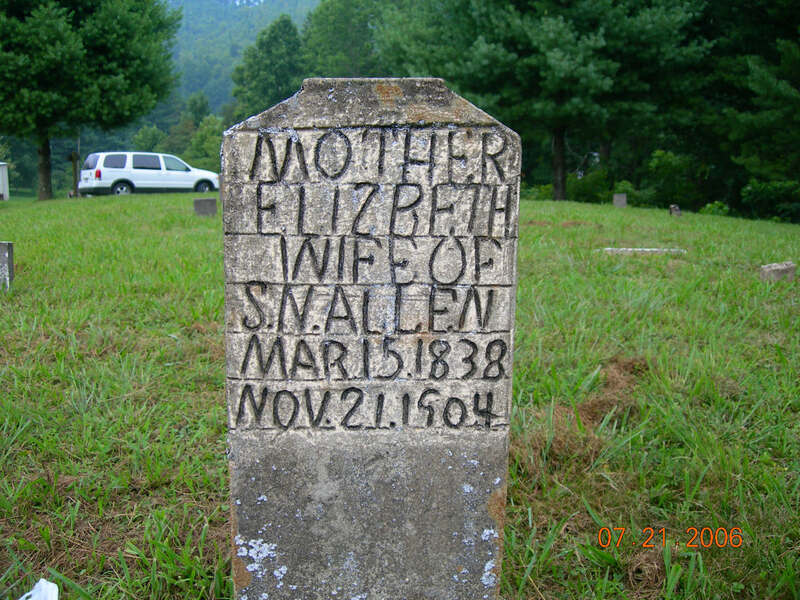 Samuel was the son of John Allen and Esther Jane Neal. The land it is on is still occupied by descendents of him. 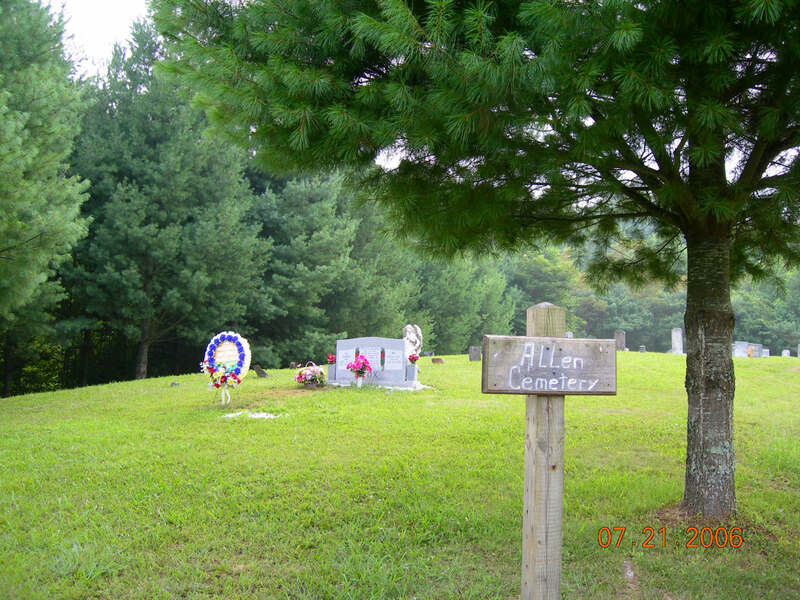 And I personally want to thank Bobby Allen Cox for taking such wonderful care of the family grave yard. Especially after having to wade through Cow Manure and in grass and weeds, up to my armpits to view some of our old Virgina Ancestors graves. This one was manacured better than some yards. Cudo’s Bobby! I’ve been to this cemetery, but it’s been many years. Bobby does a great job. Hopefully I’ll be able to come down for the Cox Reunion in October and get some more pictures to share. I have some from about 5 years ago… if I can find them I will scan them for everyone. I am the granddaughter of Thelma Ethelyn Allen(daughter of Henry Jasper Allen and Ethelyn Thelma Noble Allen) I think its great this website is available for all to visit and see some of their family history. I believe Samuel N. Allen is a great grandfather of mine somewhere down the line. My dad and I are working on family tree on Ancestry.com, our hope is to one day visit The Allen Cemetary. Both sides of our family are from Scott County Virgina. Allen, Rhoten, Noble, Bryant and Hall are the surnames we are currently looking into. It would be great to share some info and photos with family members who are also interested in our family lineage.